Hello everyone!! I hope your summer is treating you well. 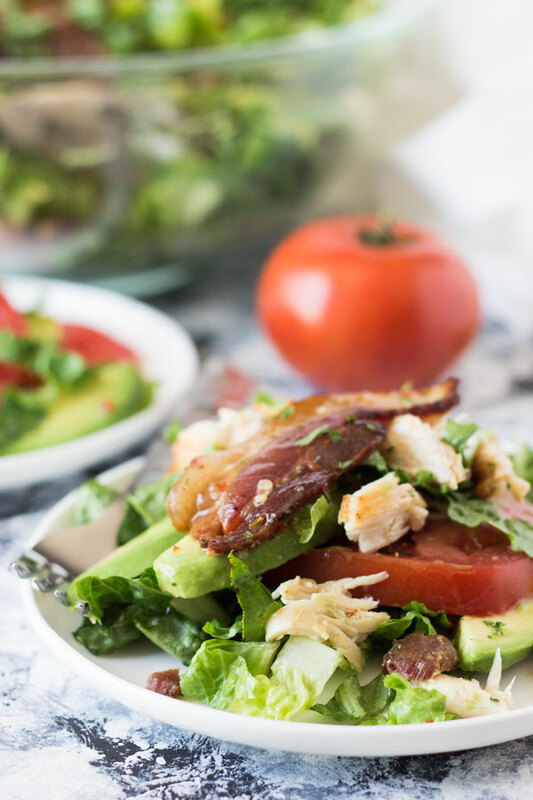 I’m bringing you a Chicken BLT Salad today that is perfect for summer. It’s light, easy and full of flavor! I’ve made some blt salads before and they are good, but a little heavy with the mayo dressing. So, I was on a mission to create something a little lighter. I left out the mayo completely and replaced it with Italian dressing. Needless, to say it was a winner with the whole family. If you don’t like Italian dressing it would also be good with a vinaigrette of your choice. 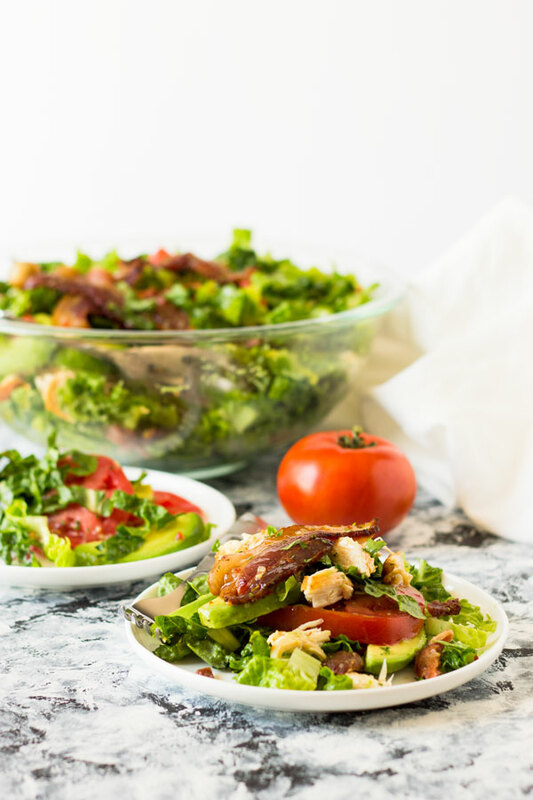 I used rotisserie chicken to speed things up, crispy bacon (cuz who doesn’t love bacon and it’s a blt salad), sliced ripe tomatoes, crisp romaine lettuce and added in some avocado for good measure. 🙂 This makes a large salad so it’s perfect to take to a bbq or picnic. Feel free to play around with different ingredients or take some out to make it your own. Squeeze lemon juice over avocado slices and gently toss to coat. Set aside. 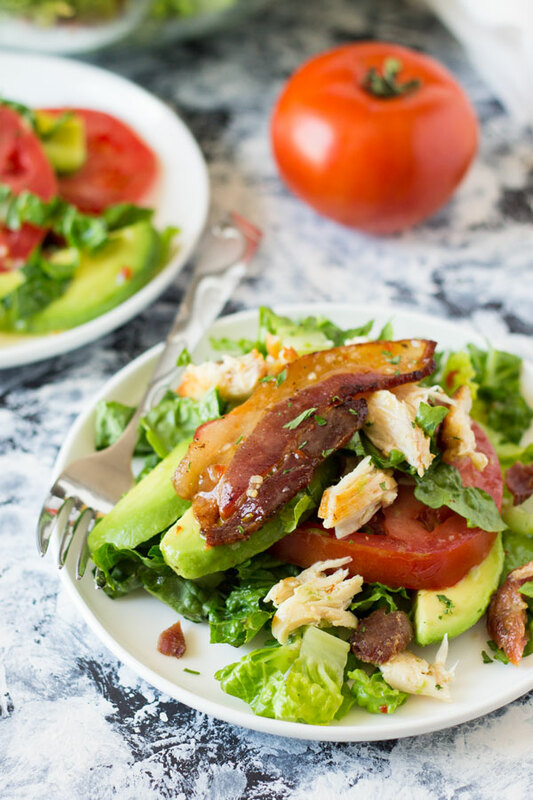 In a large bowl put in a layer of lettuce then top with chicken, bacon, tomato and avocado. Repeat layers one more time and add one last layer of lettuce on top. Drizzle dressing over the top. Serve immediately. 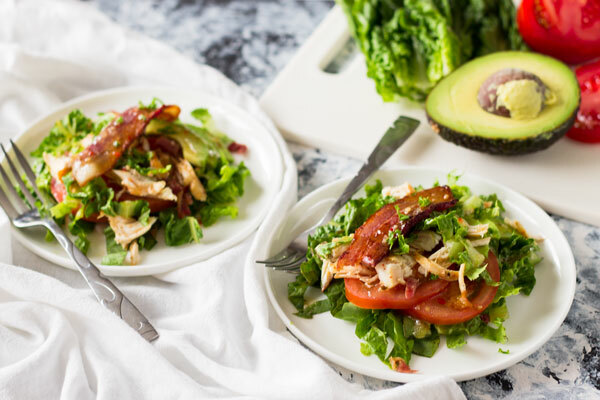 **Notes: The salad can be refrigerated for a little while before serving just not too long as the avocado will start to brown. For more yummy recipes visit Countryside Cravings!